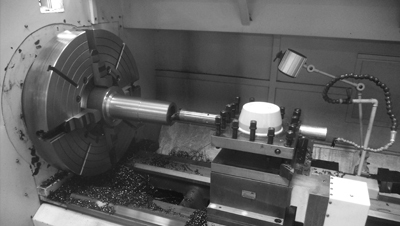 Through a combination of tried and true conventional machine tools and modern CNC machinery TNG is able to perform a wide variety of work that suits our manufacturing niche. Whether it is using a manual engine lathe, VTL, or HBM to recondition just a few critical surfaces on large equipment or producing a high precision brand new components from raw billets, forgings, or castings, we can do it all. Many companies have lost sight of the importance of leveraging both old and new technology. TNG is able to use manual machines for operations that would not be cost-effective to run on a CNC machine while reserving our CNC capacity for more precise and higher quantity demands. The TNG Machine Shop is over 6,250 sq. ft and includes 14 different automated and manual machines capable of machining nearly any kind of valve, wellhead or ancillary completion components for the geothermal industry. Click here to DOWNLOAD our Machine Shop Capabilities document or scroll through below.